Dead Space: Salvage takes place between the events of the first game & the events of the animated horror, Dead Space: Aftermath (which leads into Dead Space 2). A group of freelance miners come across the floating bulk of the USG Ishimura deep in space. They recognise it instantly & see a big pay-pay in their future so the group decide to board the ship & see what’s worth salvaging. Unfortunately for them the Earth government is also searching for the ship with Defence Secretary under orders to find the ship and the marker that was aboard. The group land & find the USG Ishimura in a bad state & completely deserted. No sign of any humans or necromorphs but the ship is covered in some sort of organic substance. While exploring the group discover that parts of the Marker are embedded on the outer side of the ship & collect them prompting the captain to get all holy about them. The captain is a firm believer in Unitology & the discovery of the market fragments sends him into a rage when it is suggested that the group sell them. He attacks a member of the crew but is knocked out before he can do any real damage. The rest of the crew lock him up in the Brig before deciding to see if there is a whole marker aboard. The ship is an eerie place but completely dead, that is until the incarcerated captain begins to dream of being ‘whole’. 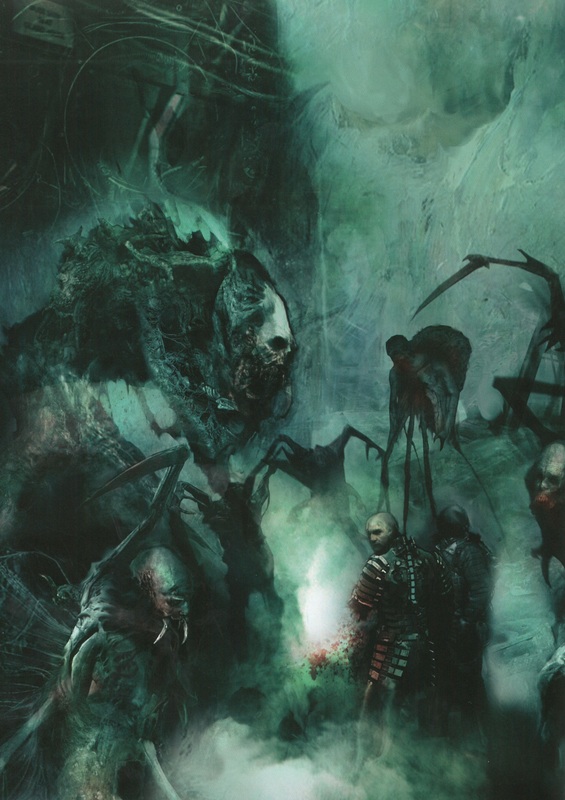 The organic substance spread throughout the ship reanimates & makes him ‘whole’ restarting the necromorph outbreak. What begun as a salvage mission is now a desperate fight to survive. 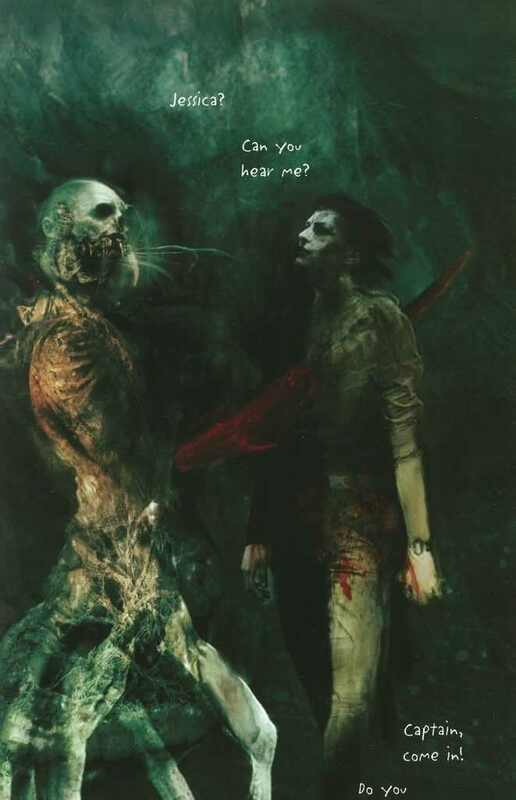 Dead Space: Salvage is an exciting comic book written by Anthony Johnston who wrote the dialogue for the first game & it really fits within the universe. It doesn’t expand much on the markers & the Unitology religion but it doesn’t need too. This is just extra details about the USG Ishimura & how the ship is found. Where it really shines though is with the incredible artwork. 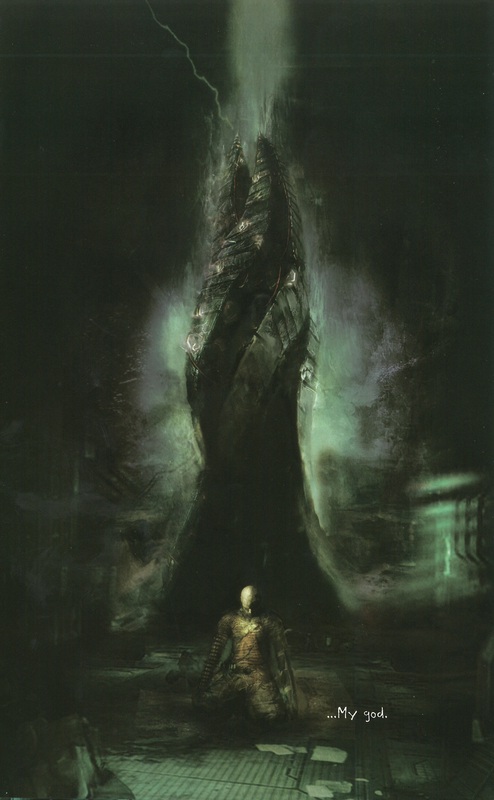 Christopher Shy has done a great job of bringing the dark, twisted world of Dead Space to life. The necromorphs are kept to a minimum but when they do show up they are come in glorious detail often filling an entire page. This is for fans of the Dead Space series & they won’t be disappointed by the end. I’ll always enjoy revisiting the USG Ishimura even if it is hell in space.